Ian Russell, CEO of BCX. BCX is investing R100 million to grow scarce digital skills in ICT infrastructure and software programming alongside cyber security, fintech and artificial intelligence over three years in partnership with the Cape Innovation and Technology Initiative (CiTi). The three-year project will be called CiTiX - Futured by BCX and will train a minimum of 250 candidates each year in industry-led digital skills using CiTi's CapaCiTi programme skills development and job readiness methodology. CiTi's Jobs Fund grant also unlocks great operational efficiency and scale that the CiTiX will leverage. Recruitment will start in December 2017 and the programme will launch late January 2018. 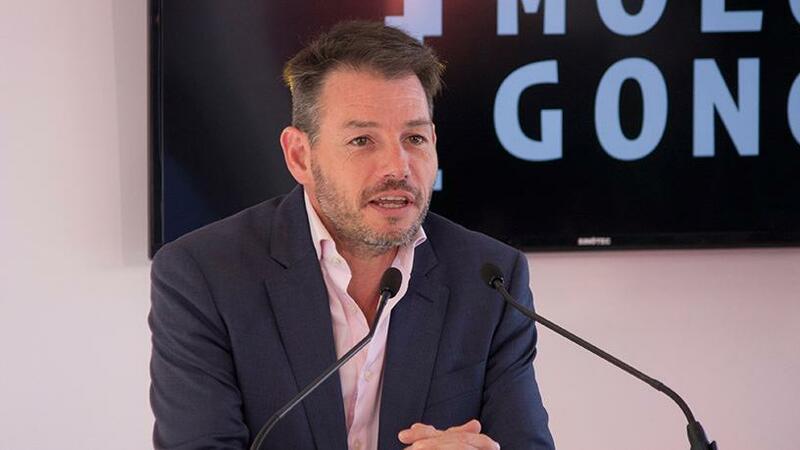 "As an organisation, we're passionate about technology and the innovation that it allows to improve the lives of South Africans - especially the youth," says Ian Russell, CEO of BCX. "Being digital activists, we fully support initiatives that will remove barriers to entry for South Africans, so they can become key players in the digital space and fuel Industry 4.0. We're creating an exciting ecosystem of new skills, tech businesses and knowledge streams as a pipeline for digital growth through our partnerships with the Tshimologong Precinct at Wits University, Propella in Port Elizabeth and the Bandwidth Barn in Cape Town where CiTi is based." According to BCX, students will obtain industry-relevant technical training in software programming and ICT infrastructure, and will also incorporate five key skills streams: Operations Technology, Cyber security, fintech, Geomatics and artificial intelligence. The programme will equip them to support and manage products and services in agritech, marinetech, fintech and cyber security, to name a few. The programme forms part of an arsenal of digital transformation initiatives BCX has co-created. Also to launch in the New Year is the Explore Data Science Academy, which BCX is supporting to grow data analytics capability. BCX is also growth sponsor for WethinkCode, a coding academy through which it funds over 400 learners. "This is another milestone in CiTi's journey of supporting an inclusive and transformed economy, through digital skills creation and disruptive innovation," says Ian Merrington, CEO of CiTi. "As Africa's oldest technology incubator and home to one of the most successful technology and digital job readiness and skills development programmes, we are privileged to partner with BCX to create CiTiX- Futured by BCX." Merrington notes that BCX and CiTi are driven by the same belief: that to accelerate economic development and job creation the youth need access to relevant and agile technology curricula and skills. "We believe the traditional education models are not producing candidates who are prepared or equipped for the new digital economy, which is why we recently also launched an EdTech Open Innovation Cluster and Injini, Africa's first EdTech Incubator," Merrington adds. CiTiX - Futured by BCX, will take unemployed previously disadvantaged South African youth through an intensive and holistic career-readiness pathway, equipping them with the technical and inter-personal skills needed for success in the knowledge economy. Acting as a bridge between education and employment, the programme design ensures graduates are fully supported and experienced to immediately add value on hire.